Inspired by my recent viewing of the Kara no Kyoukai series of movies, I revisited and now formally review an anime that I saw several years ago. I wasn’t all that impressed by the Tsukihime anime back then. Has the passage of time improved my “Mystic Eyes of Anime Perception” and changed my opinion of this show? Well, not really. It’s still pretty mediocre after a second viewing. 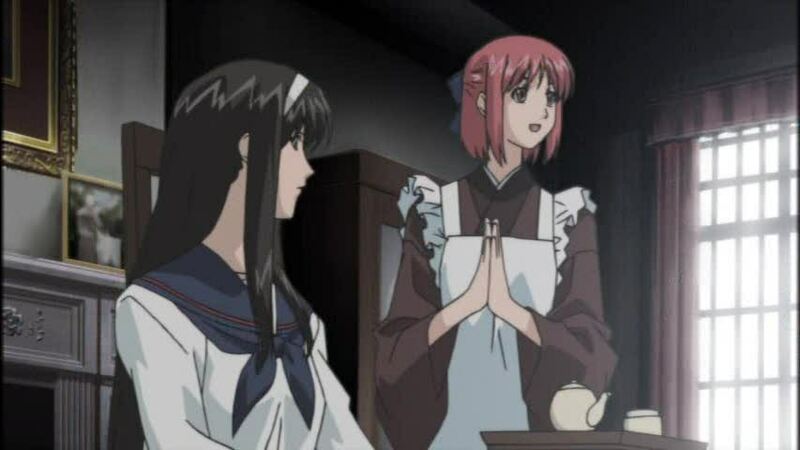 Shingetsutan Tsukihime works best when it is delving into the mysteries and backstory of the show: the origins of its characters, the differences between the True Ancestors and the False Apostles, the dark secrets of the Tohno family. The scenes that grow out of these situations also work well: the tense situations between Shiki and Arcueid and her suppressed bloodlust, the equally tense situations between Shiki and his cold sister Akiha, and the mysteries behind Ciel-sempai and the “church” she works for are all interesting and help reveal character. The consistently good music adds to the atmosphere, which is what Type Moon productions always excel at evoking; perhaps some of the most effective use of music is featured in the final four episodes (9-12), when many plot questions also just happen to be answered–though not completely within the show itself, mind you. The funny thing is how much this distorts otherwise smooth character interaction in some episodes. My favorite example actually comes later in the show, where Shiki and Arcueid go out on a date. Shiki is recovering from his recollection of his stabbing, and is lying in bed, his chest wound still clearly visible. Arcueid appears in his room, miffed that he hasn’t shown up in the evenings like he promised. 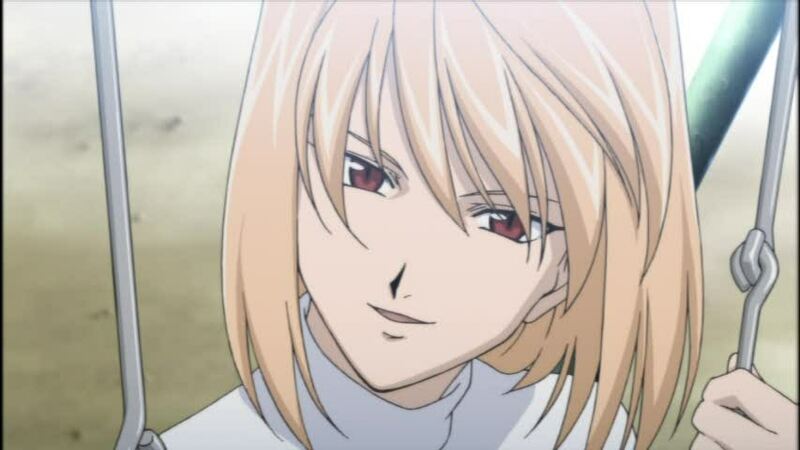 Shiki apologizes without explaining why, but the first reaction of Arcueid–who doesn’t even seem to notice the chest wound, even though it would present serious temptation for her later–is to say, “let’s go on a date.” The date then proceeds and while it gives rise to some significant lines repeated at the end of the series, it just felt…disjointed. Don’t get me wrong; the story is, in part, about the romance between Shiki and Arcueid. Romantic buildup and scenes can’t be left out altogether, and the romance between a human and a vampire is a well-worn plotline that Type Moon, more than anybody, should have been capable of making fresh. What we get instead are fairly standard anime cliche situations when it comes to the romantic bits, and they aren’t well integrated into the more gothic portions. Those gothic bits are fine for what they are: mysterious, brooding, and dark. They are also badly underexplained within the anime itself. Having done some reading on the full backstory of the characters, I understand a lot better now what was going on and was able to fill in the gaps, but watching the final episodes took me back to the time a few years ago when I didn’t know and my constant mental refrain was: what the hell is going on here? Two Shikis? Akiha’s need to “control the Tohno blood”? It’s not the purposeful ambiguity that adds to the allure of a show, either; it’s the kind that simply confuses. Kara no Kyoukai did a bit of it in the first installment too, so it seems that Type Moon is rather fond of underexplaining things (though by the second installment, things improved significantly). A word, finally, about the animation quality. I’ve read plenty of complaints about the lack of it, especially in the battle scenes. it’s true that the battle scenes are not the most fluid and certainly reflect a “TV” rather than OVA budget. (One suspects that the much improved cinema-level battle animation of Kara no Kyoukai was in part a reaction to this.) On the other hand, I really like the character designs. Especially Arcueid. She really is…cute. I find her character design very appealing personally. It’s hard to explain. It could be her hairstyle. I’m not sure. But she makes it quite easy to watch. I could care less about anyone else, really, like Ciel and Akiha and the twin maids. Tsukihime represents one kind of fleshing out of the Type Moon mythos, particularly the Mystic Eyes of Death Perception. The adapters of the anime at the very least were not quite as cognizant on how to put together emotionally compelling stories and thus produced what is, in the end, a rather ho-hum anime with glimpses of greatness at best. This is, on the whole, a lot better than a show like This Ugly Yet Beautiful World, which suffered from similar flaws but to a much greater degree. It’s a good thing that I can’t get some of the music out of my head. But coming from Kara no Kyoukai, it pales in comparison, a shadow of the greatness that the Type Moon storytellers had in them and would at last begin to make later on. Voice Acting: 65%. Shiki is a bit of a blank slate, showing initiative only later on, so his vocal performance wasn’t anything special. Akiha manages to show some nuance later on that puts her a bit beyond a frigid prude. However, Arcueid’s seiyuu really felt oddly detached the whole time. There were moments initially when she pulled off the menace and otherworldliness just fine, but later she became Generic Anime Heroine #2: perky, cheery even, but lacking in emotional depth. This is a key reason why I felt the show was oddly unemotional. Music: 85%. Very well done. String and piano-driven melodies work well for gothic shows, and while it is not quite the Kajiura beauties of Kara no Kyoukai, it’s actually only one or two steps below. Some of the best musical parts are in episodes 9-12. The OP is also one of the finest I’ve heard in a long time, though in a way it promises a different kind of show than we actually get. The ED is forgettable by comparison. Story: 70%. The backbone of the plot–the Tohno history, the vampire wars, etc.–is actually pretty solid, if a bit unoriginal. The out-of-place romance scenes and dating sim material feels like interruptions at times. Much is left unexplained to the viewer unacquainted with Type Moon’s mythos. Perhaps it was primarily aimed at the players of the 2001 game, which I am currently previewing out of curiosity. (I’ll write a comparison review of it sometimes.) Arcueid in particular is underdeveloped as a character; she could be very, very fascinating all by herself, but the show doesn’t explore this enough. Overall: 70%: the seeds of greatness never quite sprout in this series. It becomes, in the end, rather forgettable, aside from the music. Except for Arcueid’s face. Mmm. Please don’t accuse Tsukihime of things that it doesn’t deserve. 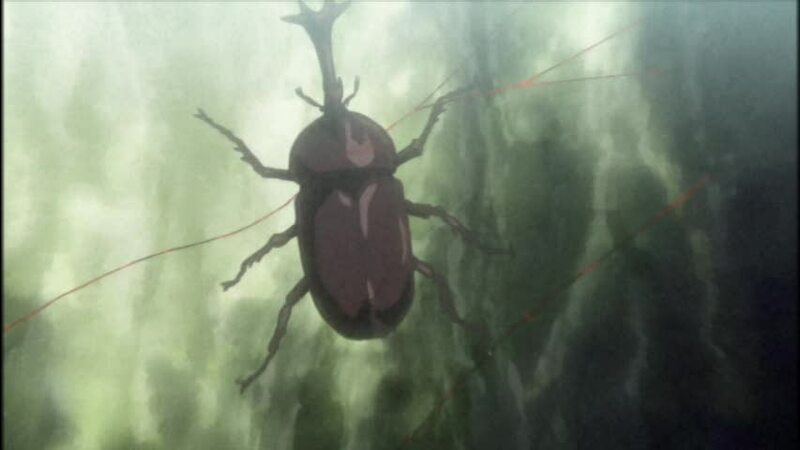 The anime sucked so much that many loyal fans refused to touch it, but that was the fault of the animation studio, not because of faults in the original material. If you have actually played tsukihime, you will know that it gives off the pretty much same feeling as Kara no kyoukai (with more romance elements, I must admit). So please, don’t accuse an anime of being bad because it was adapted from an eroge, in my opnion, that’s one of the worst things to do. But, the anime really was bad, and I will agree with you on that. Yeah, I’m gonna have to throw my lot in with Choux here. If you take pretty much every complaint you had against a direction TYPE-MOON supposedly made in the production of this series and replace it with Katsushi Sakurabi (in employ as a director at J.C. Staff), you’d have a clearer take on what took this production to crappytown. Visual novel adaptations: they’re a tricky breed. 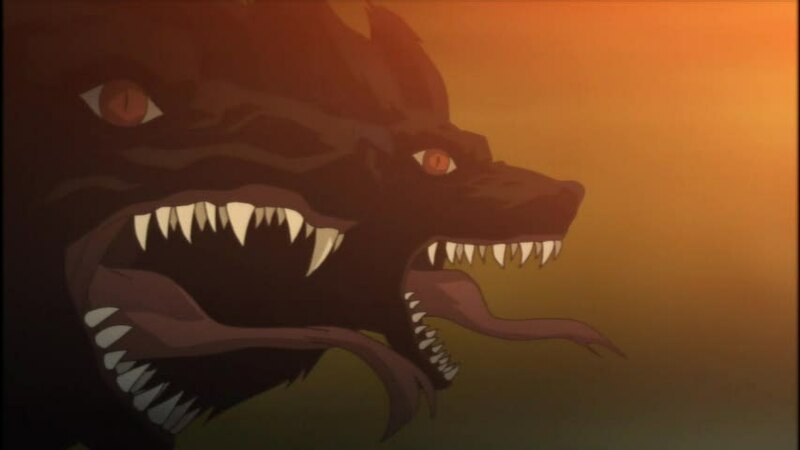 To my knowledge, TYPE-MOON didn’t really have all that much to say in how their works were adapted to animation (as per an interview published in the English edition of Faust) until ufotable approached Kinoko Nasu for suggestions on Kara no Kyoukai. Anyway, Kara no Kyoukai probably fares better in an animated form since you don’t have to worry about including multiple branching plot paths with it. As a result, the movies are much more of an analogue to the novels than Tsukihime and Fate/stay night were to their source material games. I think the anime itself was average to fine…but if I was to treat it as that anime that adapted one of my favorite visual novels of all time (which also introduced me to visual novels for better or worse, heh : d) of course I’d feel a bit irked. I’m hoping that the ‘remake’ of the tsukihime game which typemoon is working on will make a resurgance and hopefully bring about a more proper adaptation. Anyway, its a good post regardless and I hope that you enjoy whatever small portion you may preview from the original. @Everyone: I think I may have written a bit more sloppily than I intended, because I really didn’t mean to blame Type Moon or the source material for the deficiencies of the anime. Gerald gets closest to what I believed I was trying to say–it’s the branching structure of the dating sim/visual novel which seems to be the root of some clumsiness that I’ve noted. Like when you try to include all the main girls in some way or another. The skill with which a visual novel is adapted is very much a function of the anime studio and writers, not the original storytellers. The branching structure was very cleverly employed, for instance, in Higurashi. ef and kimikiss opted to simply tell one story straight through with great success. I do admit my bias against dating sim/visual novel adaptations, though. Which is why when I see it done well, I usually love the show to bits! Finally, I actually have started playing the game in translation. Right off the bat, I see much more fleshed out dialogue with all the characters, though it’s occasionally repetitive. My guess is that a lot of my complaints about the lack of characterization in the anime are going to get addressed. We’ll see–it’s my first real visual novel, too, and I’m eager to see how it compares. So far it’s looking quite favorable. I think things could definitely have been integrated better, and plot points could have been expanded much better, but it’s not that bad of an adaptation. Looking at it stand alone, it’s decent, but compared to how the game was, it doesn’t hold up to well. But it depends on what you’re looking for I guess. The response by the fans of the game are overblown, I’d like to think, but the criticisms of the show are definitely valid. But when it gets to pretending that the show doesn’t even exist, that seems very silly to me. Wrong. There is no Tsukihime anime. You must have seen something that looked just like it. Go read the manga instead. And continue playing the visual novel. Yeah, I’m with Stifler on this one. I don’t know what you guys are talking about but there is no such thing as a Tsukihime anime. Even if there was, surely it would have been well-made and a proper representation of the Visual Novel, so these complaints would not exist. You guys must be mistaken. Just forget about it and go play the game again. well i’ve just finished watching the anime a while ago and i have to agree that it’s quite bad..
and i commend “tsukihime” for establishing a personality for her. The game does not tell who the characters are, you just play them..
i didn’t know Arcueid Brunestud was sad..